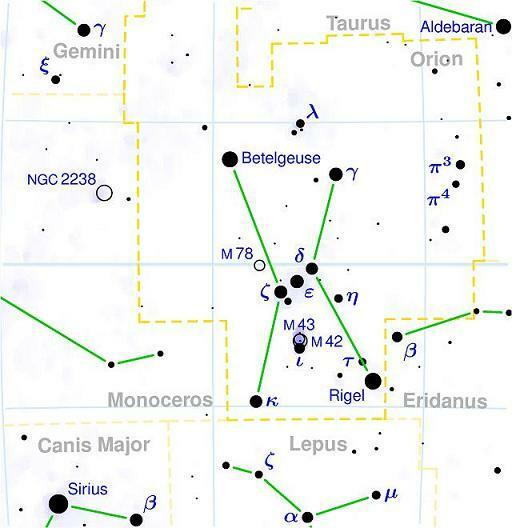 This section describes the Orion constellation also called The Hunter. The Hunter, Orion, is located on the celestial equator. So it is visible throughout the world. The best time to observe The Hunter is in the evening from November to April in Northern Hemisphere. The easiest way to find The Hunter is to locate the three bright stars on The Hunter's belt.